Flower arranging is the new hot hobby, seriously. So many of my girlfriends are forgoing wild weekends in favour of artfully arranging blooms. And I can see why. It’s an activity that is so relaxing it’s like meditation, plus it kind of involves nature (though the stems are cut and dead) which is never a bad thing. I first tried this new thing last year and now I can’t get enough of it. 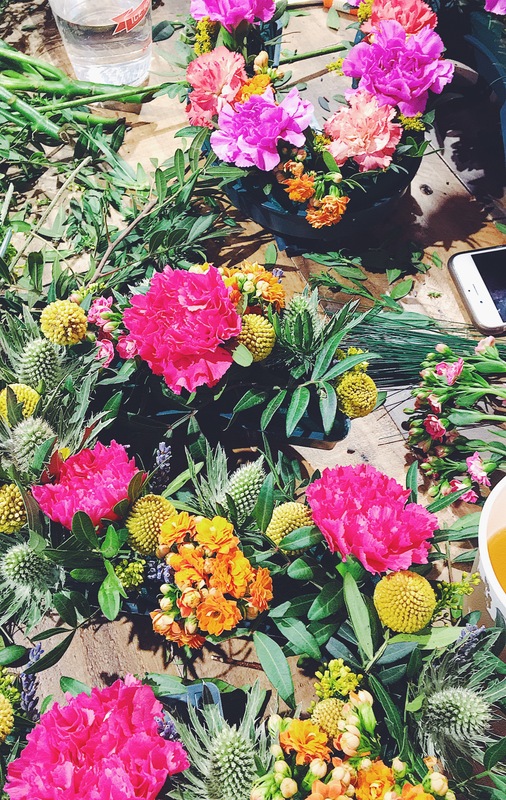 Bloom & Wild who you may know from ‘flowers through the letterbox’ fame hosted a class at West Elm’s beautiful Tottenham Court Road branch where we created a floral letter – which my friend pointed out was not dissimilar to something you’d see at an East End funeral. Morbid associations aside I am so proud of my colourful ‘S’. Find out about Bloom & Wild classes here.